Saving for your first home loan doesn’t have to be tough.. The Queensland Government’s $20,000 grant for first home buyers is going gangbusters. But you need to act quickly if you want to join the thousands of new home owners who have already taken the money – the offer expires at the end of June 2017. Introduced last July, the grant is the most generous in Australia. It compares with $15K grants from the South Australian and Western Australian governments and $10K in New South Wales and Victoria. The first seven months saw 2,340 people take advantage of the Queensland Government grant to move into new houses, units or apartments in the state. Queensland Treasurer Curtis Pitt said the grant can help people get into their new home more quickly or make the difference for people wondering if they have a sufficient deposit. He said the generosity of the grant was particularly useful in regional Queensland where $20,000 is more than half of the 10 per cent deposit on the median house price in many regional cities. One reason for failing to act is that buying your first home can be a daunting business. The first step is usually to approach your own bank or credit union to check whether you are earning enough to get a mortgage. And if so, how much can you borrow? And how much will you pay back each month? By this time, you are probably bewildered with figures and the various lending products on offer. And you haven’t even started to compare the market. A mortgage broker does all the hard work for you in comparing the market. Their experience and access to the many different loan products and rates on the market will save you time and money by matching your personal circumstances with the ideal loan package that meets your particular needs. There’s also all that pesky paperwork. Picking your way through the eligibility details for the Queensland First Home Buyers Grant doesn’t have to be a problem when you have a broker like the Premium Mortgage Group in your corner. 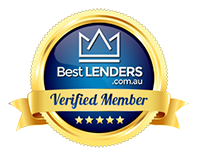 As a Queensland broker that’s been around for close to 20 years, PMG knows the market better than most and has already helped many clients into their first home with the added benefit of a $20,000 grant from the government. It’s a service that is friendly, personalised, efficient, and guaranteed to help you onto that first step of the property ladder. Oh and before I forget… It’s free!! Previous PostAre Banks to Raise Interest Rates?